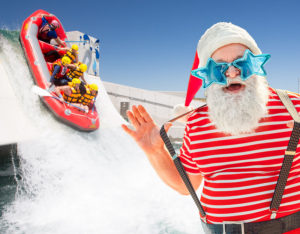 Dive into an hour of exhilarating white water rafting and Pump Waterfall followed by a lakeside Christmas BBQ and a 2 hour beverage package. It will be a party to top all Christmas parties! For details and menu, click here. Standard groups up to 28 people can also easily book online by clicking here. For enquiries on Christmas Party Packages, large groups, and team building activities, email Matt at Matt@pacific.org.nz. 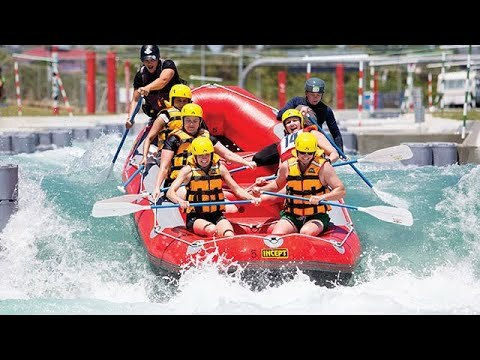 Are you looking to inject some adrenaline to your conference or team meeting? 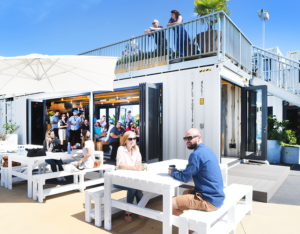 Hold your meeting at Vodafone Events Centre and then end the day at Vector Wero! Click here for a short video clip to give you an idea on how the day can look like. Package includes venue hire, arrival tea/coffee, morning and afternoon tea, lunch, car parking, dedicated Customer Service Manager, and uncapped wi-fi data for all delegates. A minimum of 14 guests per booking and standard contract conditions of hire apply. The day was so amazing and we had so much fun. The rafting itself was a treat and even better than we expected. The waterfall was the best bit and I could have done it 5 more times! So fun! The food was delicious and it was great to warm up with a drink. The café and bar space is really cool to relax in.